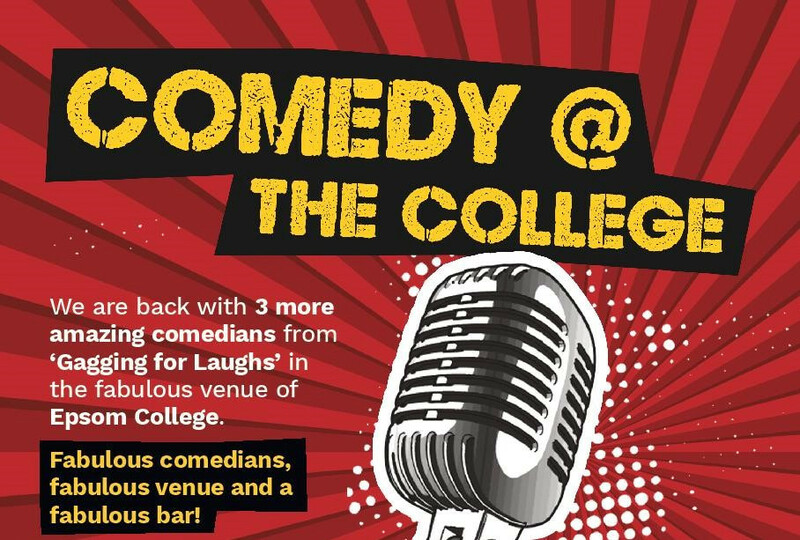 Comedy @ The College is back for its 3rd year with 3 more fabulous comedians from 'Gagging for Laughs' in the gorgeous venue of Epsom College. Fabulous comedians, fabulous venue and a fabulous bar! Our guests say... Beautifully arranged, stunning setting, great atmosphere and heaps of laughter. I am so glad I came along and all the more so to support such a worthy cause. Why wouldn't you join us?